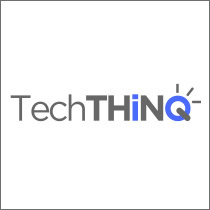 AZTC Platinum Sponsor and content marketing firm TechTHiNQ is sponsoring April’s Phoenix Business Marketing Association (BMA Phoenix) event on Tuesday, April 19 at the Biltmore Fashion Park’s Blanco Tacos + Tequila. Every marketer knows they need to deliver the right content to the right person at the right time. But according to Content Marketing Institute, only 44% of B2B marketers have a documented strategy that maps content to the buyer journey. The leaders at BMA Phoenix have curated a panel of top Valley marketers to share the proven, actionable tactics that convert prospects throughout the buying journey. You’ll also have a chance to ask questions about your own content strategies and meet local marketers who’ve implemented marketing automation, inbound programs and advanced content practices. This insightful BMA discussion will be moderated by Sheila Kloefkorn, CEO/President of AZTC Platinum Sponsor KEO Marketing and feature panelists Lindsay Bayuk, Head of Product at Pure Chat; Dan Tyre, Director of Hubspot; Justin Gray, CEO of Lead MD; and Molly Castelazo, Founder and Chief Content Strategist at AZTC Member Castelazo Content. Interested in attending? Register in advance today. TechTHiNQ is a content marketing, PR & communications strategy firm dedicated to helping clients take their business to the next level. We provide our services to InfoTech, HealthTech and CleanTech companies from entrepreneurs to large enterprises.